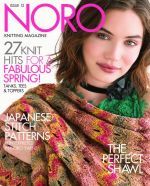 10 designs in Noro yarns, including new 2016 spring yarns. Includes women's pullovers, cardigan, sleeveless jacket, v-neck jacket with matching sleeveless top, cabled waistcoat, and handbag. 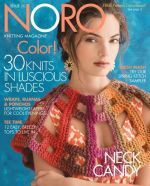 30 designs to knit or crochet in Noro yarns. 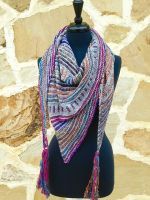 Includes tees, jackets/cardigans, vest, ruana, ponchos, wrap, shawl, cowls, scarf, afghans, pillow, bag. 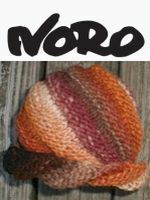 27 designs to knit in Noro yarns. Includes blankets, shawls, women's spring/summer sweaters, and 2 men's pullovers.